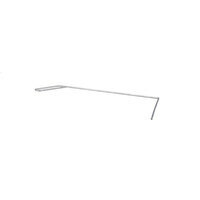 Use this handy 25" fryer clean out rod to clear your hard-to-reach fryer drains! Over time, your fryer drains can become clogged with food particles and hardened fryer oil, impacting the amount of time it takes to drain and filter your oil. You can simplify this difficult task by using the 25" fryer clean out rod to clear your clogged drains. Simply place the straight portion into the blocked drain line to break up hardened fryer oil. "This rod makes cleaning out our fryers easier than it has ever been. The angle of the bend allows for quick and simple clearing of solid debris that has settled at the bottom. We went from taking ~20 minutes a unit to about 5." The angled shape of this rod is designed so that you can reach your clogged drain while still maintaining a firm grip on the handle. Made of durable stainless steel for long-lasting use, this rod is easy to clean and resistant to rust or corrosion. 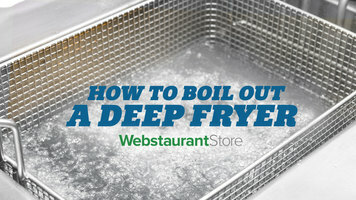 Watch this video to learn how to perform a boil-out to keep your fryer clean! Complete the procedure frequently to save your business valuable time and money. As oil prices continue to rise, it's important to take advantage of products that allow you to use less oil. Using Frypowder filter aids and oil stabilizers can cut down on the amount of oil used, ultimately saving you time and money. But if you don't properly clean your fryer beforehand, it’s like throwing all that money down the drain! You should always start your fryer oil stabilizer regimen with a clean fryer that’s been boiled out to make sure all dirt and debris has been removed. Otherwise, you may have proteins, polar contaminants, and other matter that will start to contaminate the new oil immediately when added. That will break down the oil quicker, leaving you to change the oil more frequently and ultimately costing you more time and money! This video will show you the proper steps to ensure that your fryer is ready for use by using Noble Chemical Tempest Deep Fat Fryer Cleaner, a high temp fryer brush, and a fryer clean out rod. I will also show you how to safely discard your used oil once you have determined it is no longer usable. Don’t forget to check out our video on MirOil’s fryer oil test strips to help take the guesswork out of knowing when to change or filter your oil. Noble Chemical Tempest Deep Fat Fryer Cleaner is easy to use and thoroughly eliminates all encrusted grease and grime. Just follow these simple steps! Drain all grease from the fryer and safely discard grease using an oil caddy and an approved used oil discard container. Use the fryer clean out rod to clean any remaining debris out of the drain line. Rinse the fryer with hot water to remove excess, un-drained fat. For a fryer holding approximately 30 lbs. of fats or oils, fill with cool water to within 3 to 4 inches of the top. Add 8 ounces of Tempest to the cold water. Boil slowly for 20 minutes. Use proportionately, using more or less depending upon the size of the fryer. After termination of boiling, allow the fryer to drain slowly and use a long handled, heavy duty brush to clean the sides, top, heating elements, and other parts of the fryer. Then rinse thoroughly to remove all residue. For future cleaning operations, less boiling time is required to perform this cleaning operation and the amount of Tempest used may be cut in half. Thanks for watching, and be sure to check out all of the oil filtration equipment and accessories on our website! This tool is a lifesaver! When trying to clean our fryer, this tool is perfect for getting out the gunk that has settled to the bottom. This clean out rod makes cleaning any fryer very easy and very fast. It helps with unclogging of the grease drains in fryers. Will purchase this item again! Highly recommend! Man I got tired of looking for wire coat hangers in my building to clean the fryers! This piece is the perfect size, well made and shaped funky enough that it's really difficult to lose. Super happy with this purchase. A great product to use if you change your fryers! Unclogs the fryer quickly and efficiently. Will purchase again if I need another one in the future. Great for the money ! It may seem like a small thing, but this helps on older fryers with manual drains to clean and empty them properly. The size and shape are perfect and it is a nice heavy duty construction. Rod does exactly what it is supposed to do. Nice to have when cleaning out your deep fryer. Must have. Is sturdy and does the job. Cut my oil change out time in nearly half. The angle on this is perfect to get in and get out. Very thankful for this product. 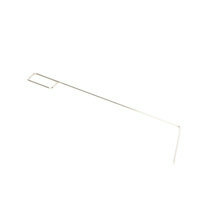 good long fryer clean out rod is the best tool for cleaning out clogged fryer drains. Simply place the straight portion into clogged drain line to break up hardened fryer oil. We basically only fry tortillas but they can really jam up the tube when you are cleaning it. This rod makes it really easy to clear the drain so you can clean it out! Cheap, efficient and does the job. I search for more expensive options, but found this and decided to give it a try and it worked like a charm. 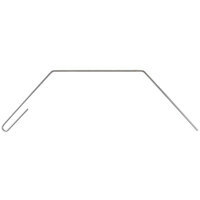 THIS IS A NICE RIGID ROD TO CLEAN OUT DRAINS CLOGGED FROM FOOD PARTICLES, WILL NOT BEND EASILY AND YOU ARE ABLE TO GET FIRM GRIP. These simple but important piece can solve lots of issues with a fryer. The correct angles helps clear the drain and prevents issues and problems. This helps us a lot when we clean the fryer. It knocks the crumbs and gunk that accumulates at the drain hole on the fryer very nicely. This rod makes cleaning out our fryers easier than it has ever been. The angle of the bend allows for quick and simple clearing of solid debris that has settled at the bottom. We went from taking ~20 minutes a unit to about 5. 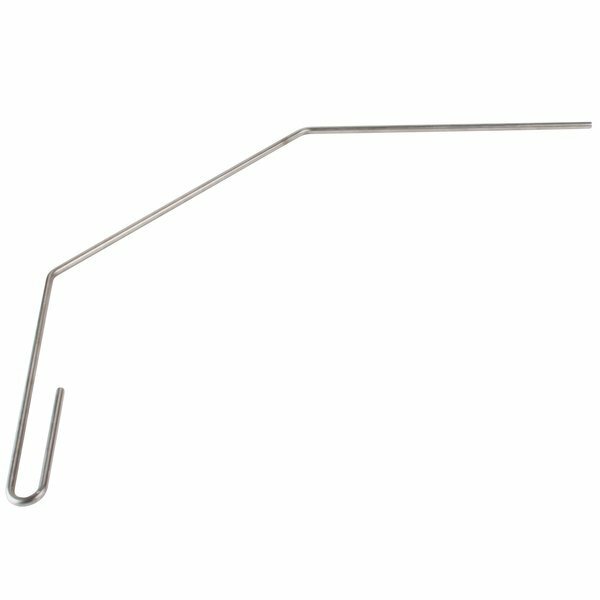 Bought a few of these to replace the aluminum goofer sticks that came with our fryers. This is a good high quality design that doesn't break or bend with ease. would definitely recommend. 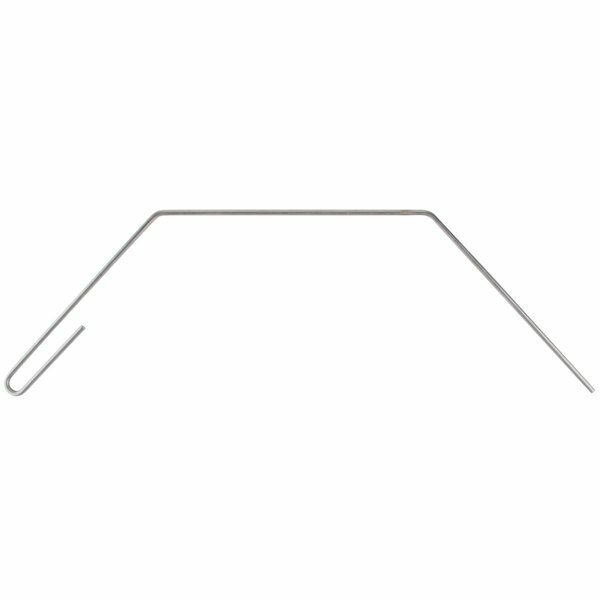 Perfect standard length that will do the job for MOST commercial fryers. A must have for cleaning fryer and keeping it healthy long term. Sturdy and good quality. Happy with quality and price. If the wire coat hanger had a bigger, badder older brother, this is what it would look like. Indispensable tool, seriously... does what it is supposed to do and does it well. Great item to help clean grease fryers. Our cooks find this to be a "must have" as it does its job and assists in the proper and efficient clesning of heavily used fryers. 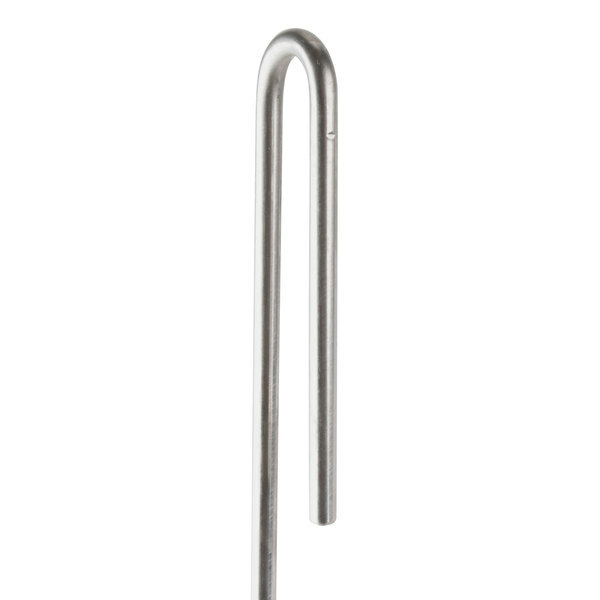 This is a great rod for cleaning fryers right after service when the fryer is still hot! Easy to reach inside of the drain and break up bits of food for quick draining!! !